I created this set to complement activities for kindergarten to grade three. The posters are kid-friendly and very informative especially if you want to teach your kiddos about fairytales. Make this Leap Year 2016 a memorable one! After all, the next Leap Year is going to be in the next four years. I made these super cute Leap Year Bookmarks that will help your kiddos preserve their memory of this extra day in February. Behind each bookmark are blank lines for them to record event(s) on LEAP DAY February 29th so that they can reminisce the next time around. Simply select both the front and the back pages and print them on both sides. You may also choose to do it manually. If you are interested in these bookmarks CLICK HERE! Happy Leap Day/Leap Year and on to the next Leap Year....! 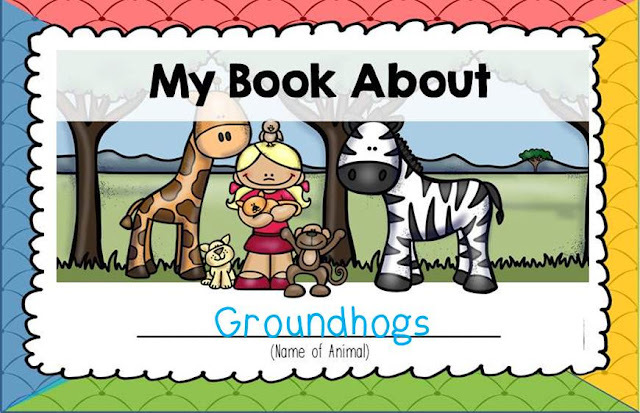 This is a mini book that serves as a template for any animal research for young researchers, kindergarten to grade 2. I included pages with headings and lines along with a blank page for drawings. This mini book template is formatted as 2 mini books per print. I also included both a colored and a black and white cover pages. The pages are not numbered so that you create your own set. To create this mini book simply select the pages that you want included then print. Guide your students into completing each page that you included. At the end of this exercise you can staple all the pages together to form multiple mini books for each animal that you choose. In the end your students will have a keepsake as well as a great little mini book that they created themselves.